Looking for information about California Online Drivers Ed? 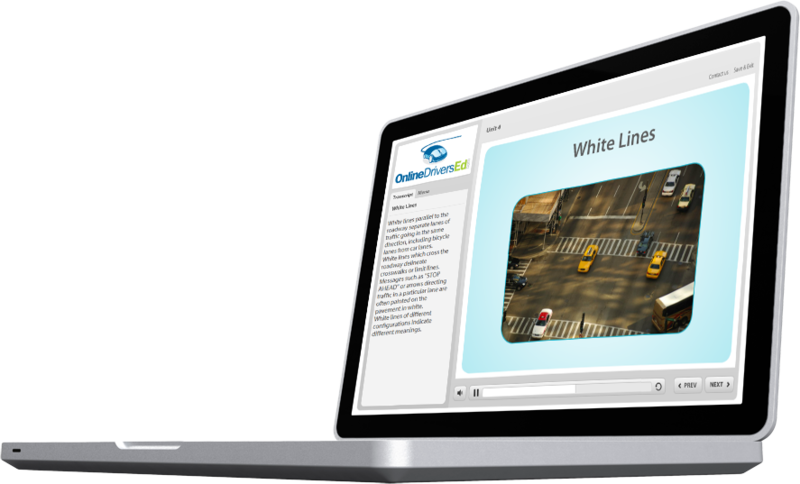 We've put together a list of our most frequently asked questions about our California online drivers ed course. Have a question and can't find the answer in our FAQs? No problem! Simply contact us today to find an answer. Anyone of any age can take the online course! If you are under 17 ½ years of age, drivers education is required to apply for your driving permit. If you are over 17 ½ years of age, drivers education is not required to obtain your permit, but you can still take our course to learn the rules of the road! Can I take the course from different computers? The course is a 30 hour course as required by the California Department of Motor Vehicles. No. You can take our online course in bits and pieces, or you can do it all in one sitting, it is entirely up to you. When you register, you are issued a unique Login ID, which you will use to sign in and out of the course. Your progress is saved each time you log out, so when you’re ready to continue, you can pick up right where you left off. The course is divided up into units containing reading material, video and graphics with a short review quiz at the end of each unit. There will also be a final exam at the end of the course. Our online course is graded based on answers given to multiple choice questions. The questions are based on material provided within the course text, video, and animations. To pass the course, a score of 80% or greater is required on the section tests and the final exam. We offer unlimited retakes, so if you don't pass on your first try, you can try again. Once you complete the online course we will mail your certificate of completion along with a DMV application DL44 through the US Postal Service. Delivery within California normally takes 2-3 business days. We do have express shipping available, if needed. We accept Visa and MasterCard. You can pay online with a credit card or an ATM/Debit card as long as it has a Visa or MasterCard logo. Yes, our website is secure. Not only are we verified through Comodo Secure but we also have an A+ rating with the Better Business Bureau. Can my parents teach me how to drive? Permit holders under the age of 18 may only drive with an adult who is at least 25 years of age and has a valid California driver license. The adult must be seated in the passenger seat, close enough to take control of the vehicle if necessary. You’ll need to complete at least 50 hours of driving practice with your parent or guardian, at least 10 hours of which must be at night. The California DMV provides a Parent-Teen Training Guide to help direct your driving practice. You will also need to complete 6 hours of behind-the-wheel training with a professional driving instructor. What are the requirements to apply for my permit? Please see our full list of permit application requirements and documents you’ll need to bring with you to your DMV appointment. What do I need to know for my appointment at the DMV? When can I take my behind-the-wheel test? Please see our complete list of drivers license application requirements, which you’ll need to meet before you can take your behind-the-wheel driving test.